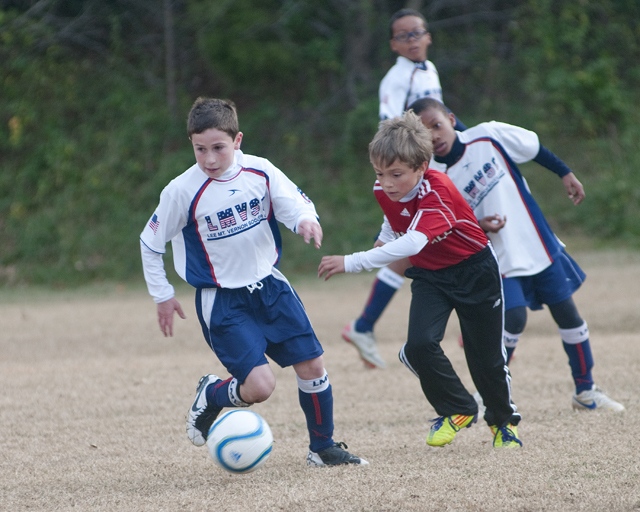 The Junior Developmental Academy is part of the pathway to the Travel Soccer Program. This pathway provides young players an introduction of the tools needed to advance individual soccer skills. The Junior Developmental Academy Instructional Program is designed to challenge young players in a consistent and positive environment. The next step in our Instructional Developmental Program is taking your six-year-old player and helping them hone all of the previous skills they have been taught, while also introducing them to new and exciting skills. A majority of the focus will be on dribbling the ball and utilizing skills while dribbling. Each player will be encouraged to practice these skills each week to make the most of the one-hour session they have with their licensed coach. The Junior Developmental Academy is the sure way to keep your player engaged and having fun, while also learning the correct technical aspects of the game! Matches: No matches at this age. – Only age specific activities! If you have any questions, please contact the Director of Player Development, Vincent Vergamini, at vvergaminidopd@lmvsc.org.